We are part of the College of Engineering and the College of Biological Sciences. 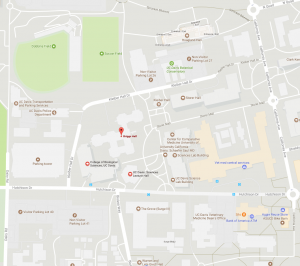 We are located in 247 Briggs Hall. The Shah Lab opened in 2017. Interested in applying? Check out our contact page for more information! February 2019: Welcome to rotation students Adam Fishburn and Leslie Herrera! January 2019: Marine and Priya publish a review on the systems biology of arbovirus-vector interactions in Frontiers in Cellular and Infection Microbiology! December 2018: Priya’s postdoc work on flavivirus-host protein interactions is published in Cell!